Five years ago, Minden resident Nancy Raven took a pinhole photography class and fell in love with the process. On Monday, the 83-year-old’s pinhole photography exhibit opens 10 a.m. to 5 p.m. at the Carson Valley Arts Council. Raven moved to Carson Valley in 2010 from Monterey, Calif., where she performed children’s music for 50 years. She continues performing music part-time during the library’s summer reading program and storytime in the park. Instead of using film, pinhole photography uses photographic paper inside a light-proof can or box with a pinhole in it. The camera is then pointed toward the subject and the hole is uncovered for about one to two minutes to get the exposure. Raven develops her own film, and prefers to use large popcorn cans for her cameras because of the look it gives to the photograph. 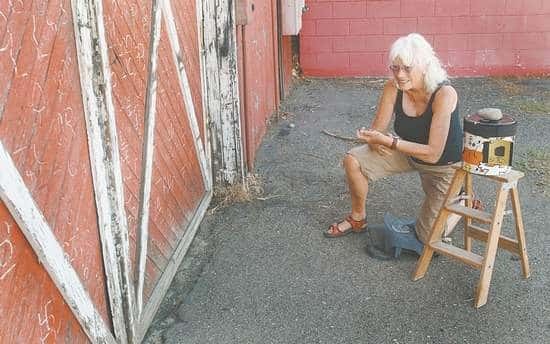 In her exhibit, Raven displays 30 of her photographs, mostly taken in Carson Valley. An artist's reception is 4-7 p.m., Aug. 17 at the arts council where Raven will give a demonstration of pinhole photography and allow guests to see how the cameras work. Raven’s pinhole photography exhibit runs through Sept. 13. The hours are 10 a.m. to 5 p.m. Monday through Saturday. The Carson Valley Arts Council is located at 1572 Highway 395. For more information call 782-4119.